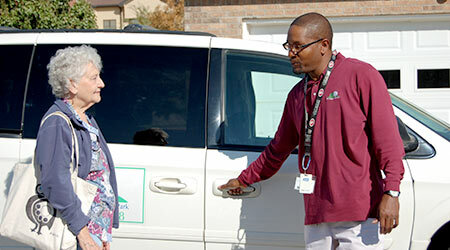 As a Continuing Care Retirement Community (CCRC), we provide services that will enhance everyday life in the relaxed atmosphere of a congenial community. The village conveniences at Manor Park are listed below. You can also find calendars and dining menus in our Resident Life Section. Call-in orders are also available; call in your order and have it ready for pickup within 30 minutes. The grill is open five days each week, from 8:00 a.m. to 3:30 p.m. (closed on Sundays and Mondays). Menu and Weekly Specials for the grill are located here. 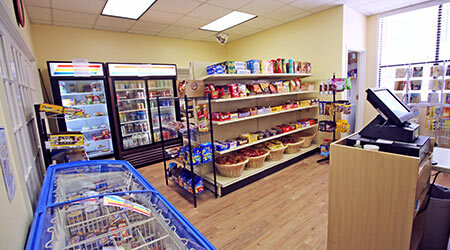 The Village Pantry convenience store stocks about 300 popular items. This may save a trip to the store to buy the one thing that was forgotten. Fresh salads and sandwiches are available Tuesdays through Fridays. Don’t forget about the ever-popular Blue Bunny ice cream and treats. And as a convenience to residents, ticket payments for scheduled group events may be made at The Village Pantry. Business hours: Monday through Friday from 10:30 a.m. to 3:30 p.m. (closed on holidays). 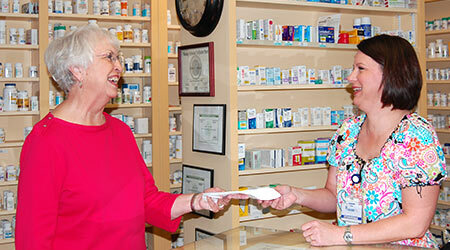 The pharmacy is able to fill medicines honoring most prescription drug cards and also stocks over-the-counter medicines. The pharmacy is open Monday through Friday from 10:00 a.m. to 5:30 p.m. (closed for lunch between 1:00 p.m. and 2:00 p.m.). Residents and employees may order prescription refills using the 24-hour automated prescription line at 432-689-3355 (during business hours, press option 2 to speak with the pharmacy staff). The Parks Faudree Family Chapel is located in the Barney Greathouse Activity Building across from the reception area. It is large and will accommodate many residents and guests. Church services, Bible studies and memorial services are held at the Chapel as well as monthly resident meetings. 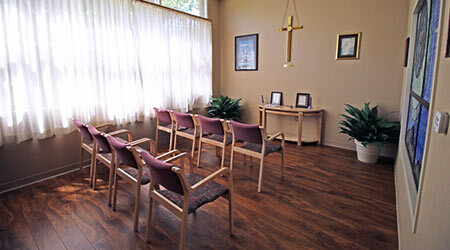 A meditation chapel in memory of Helen Sparks is located across from the Wellness Center. 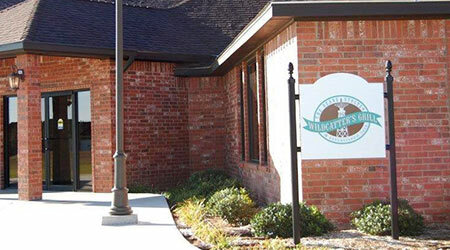 An alliance with Midland College and a grant from the Helen Greathouse Charitable Trust allowed Manor Park to establish a children’s center for children ages six months through four years. The Children’s Center provides a wonderful opportunity for employees who need a quality preschool and child care services. Having the sights and sounds of young children on the Manor Park campus helps bridge the generation gap, even though it is five generations wide. The intergenerational program that is operated by Midland College intertwines the lives of children, Manor Park residents and employees to create a loving and caring atmosphere that enhances the lives of everyone involved. 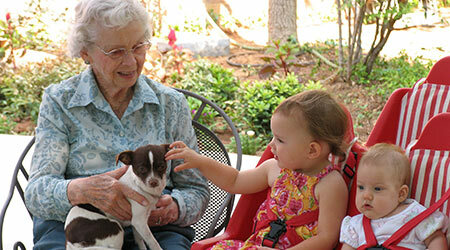 Children are often isolated from grandparents and have little contact with the elderly. 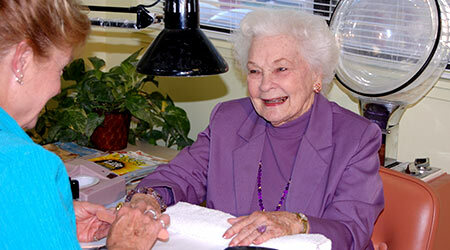 The relationships and bonds created between the “Grandpals” and the children have helped to restore the caring connection between the young and the old, lift spirits and enrich the lives of both the children and the residents. To find more information about the Children’s Center and Midland College, go to Midland College’s web site. To provide better access to primary healthcare for Manor Park residents, the FMH Foundation Medical Service Clinic has recently opened at Manor Park. The Medical Service Area is located in the Barney Greathouse Activity Building. 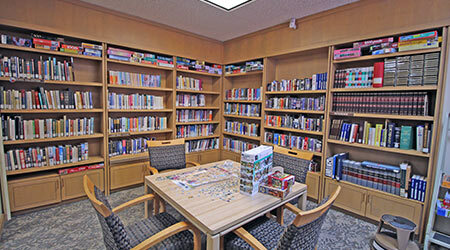 The Independent Living Library is located off the Living Room. 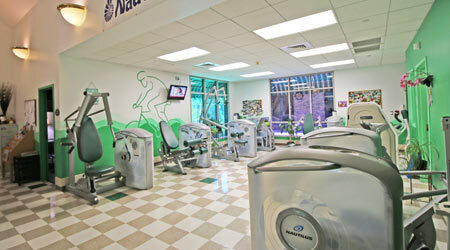 Residents have access to computers, high-speed internet, and a printer. Volunteers keep the library in order and there is usually a jigsaw puzzle in progress. Other residents provide weekly classes to help residents who are learning to use the computers. Business hours: open daily from 8:00 a.m. to 8:00 p.m.
Helen Greathouse Manor has a beautiful library on the first floor. There is a computer for playing several popular card games. Volunteers help keep the library organized and accept donations of used books from time to time. For directions to the library, please ask the Receptionist.